Striling was the Scottish capital, and with the famous battle of Bannockburn has a lot of history, in my opinion the Castle is much nicer at the Edinburgh one. 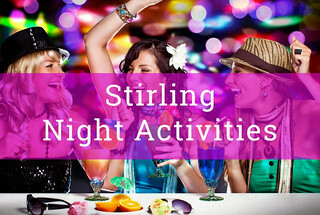 Sterling is located right between Glasgow and Edinburgh and just the start of where the Highlands begin. For such a small place has great shopping and a nice variety of different types of restaurants and bars for the evening. 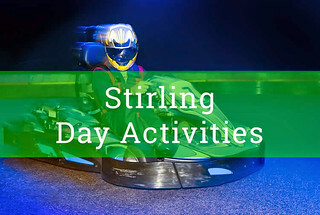 If you give activities to do through the day has a nice variety of different types from quad biking and clay pigeon shooting, Canyoning, Cliffjumping to the Google favourites like go-karting and paintball. Travelscotland can help plan a single day of activities or for long weekend your friends and we can work to any budget and group size, within reason.